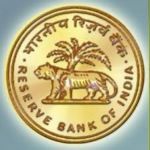 RBI Recruitment 2017 – Apply Online for 526 Office Attendants Posts:- Reserve Bank of India (RBI) has issued notification for the recruitment of 526 posts of Office Attendants in various offices of the Bank. Interested & eligible candidates can apply online through official website of RBI. Online Application Process has started from 17/11/2017 and the last date for submission of online application is 07/12/2017. Age Limit: Between 18 and 25 years. Candidates must have been born n ot earlier than 02/11/1992 and not later than 01/11/1999 (both days including) are only eligible to apply. Educational Qualification: A candidate should have passed 10th Standard (S.S.C./Matriculation) from the concerned State/UT coming under the Regional Jurisdiction of the Recruiting Office to which he is applying. Such qualification should be from a recognized board. Commencement of Online Application : 17/11/2017. Last Date of Online Application : 07/12/2017. How to Apply: Interested & Eligible Candidates can apply online through http://www.rbi.org.in from 17th Nov 2017 to 07th Dec 2017. Subscribe our Sarkari Naukri Mail Service for RBI Recruitment 2017.